What: Online public consultation to gather feedback and ideas to inform Sandwich town planning proposals. Result: Nearly 500 ideas and comments for the councils to draw upon for future planning. Anne Wynde, Engagement and Consultation Development Officer, Kent County Council. For ‘Which way for Sandwich?’, a review of Sandwich town centre was undertaken and a series of proposals were put forward for improving the town. 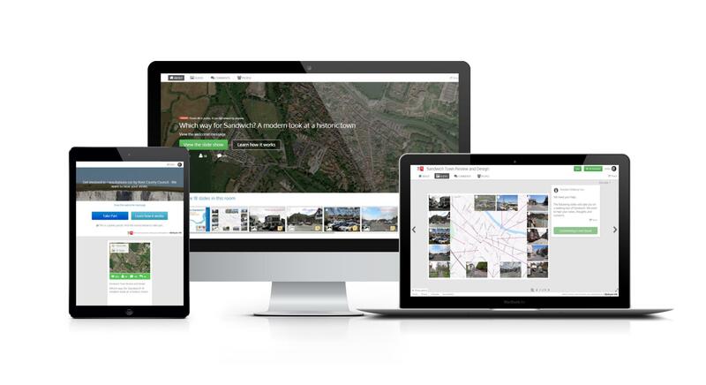 By using Stickyworld for the online consulation the team were able to gather valuable information and insights from local residents and businesses to feed into the development of proposals. 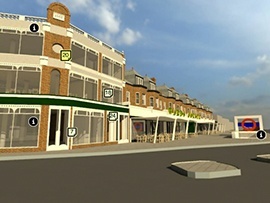 Consultants were commissioned by Kent County Council and Sandwich Town Council to take a fresh look at the town centre. Working with the local community the aim of the project was to develop proposals that will improve traffic movement, pedestrian experience, increase economic opportunity, improve parking capacity and enhance the unique historic environment of the town. In order to develop proposals that would be supported locally, the team needed to understand what sort of town the local community want Sandwich to be. They wanted to engage both local residents and businesses, encouraging them to provide their views and ideas for improvements. It was important to ensure that the opportunity to get involved was open to as many people as possible to maximise the input and ideas. The organisers used a slideshow with images to operate as a walking tour of the town to solicit comments and questions from the public on key areas of the town. For example, areas highlighted included the main Market Street, the Quay and the Marina. A town map and Stickyworld’s sticky note feature was used to solicit feedback on various areas such as the need for pedestrian crossings and bike racks at popular locations. The commenters were able to mark the specific location on the map to correspond with their notes. Kent County Council's team did a great job of explaining exactly what they wanted from their audience and how to make the most of the Stickyworld platform in a short space of time. As a result, their engagement drew nearly 500 public comments from the local community, a wealth of input for the council to draw upon for future planning. If you would like to learn how an online consultation on Stickyworld could work for your organisation, book a demonstration with our team.